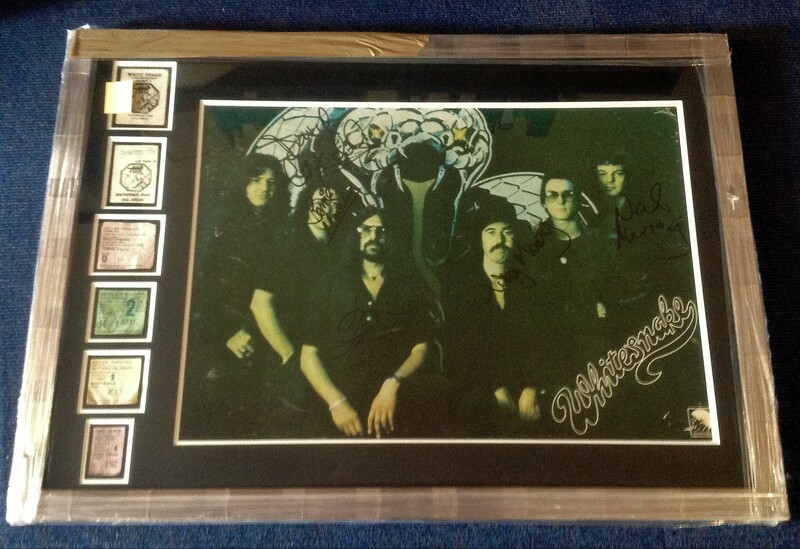 Rare Whitesnake signed poster from their debut tour with John Lord. Signed by five including David Coverdale, Bernie Marsden, Mickey Moody, Neil Murray and we think John Lord. This was a display for the Troubled album in HMV records where White snake did a signing before the afternoon gig. Framed with tickets and passes to the 1978 show. Overall size 71 x 99cm. Good Condition. All signed pieces come with a Certificate of Authenticity. We combine postage on multiple winning lots and can ship worldwide. UK postage from £3.99, EU from £5.99, Rest of World from £7.99.